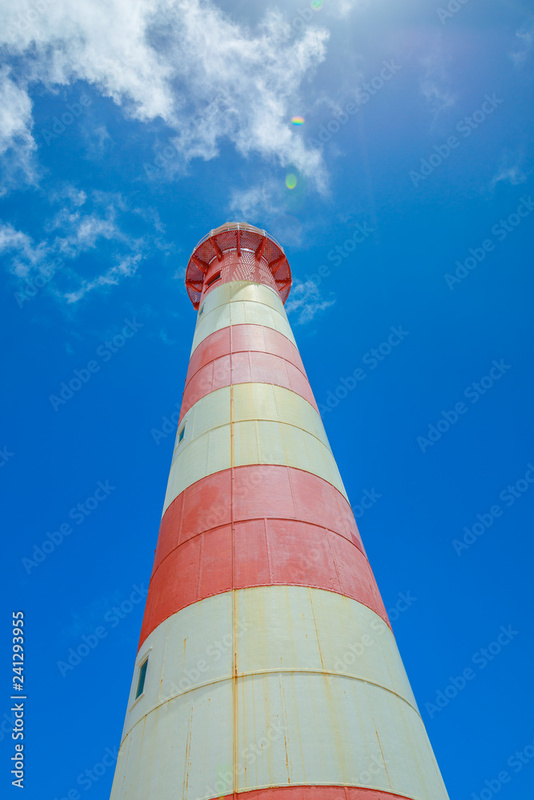 > Staande foto>Categorieën>Reizen>Oceanië>Historic Moore Lighthouse Point on blue sky in Geraldton, Western Australia. Standing 34 metres high it was the first all steel tower built on the mainland of Australia in 1878. Vertical shot.